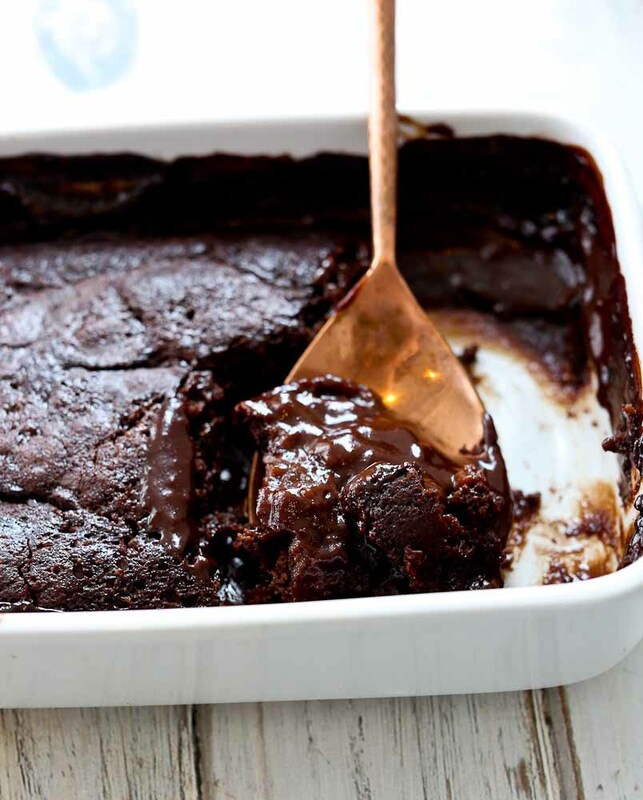 This Hot Fudge Pudding Cake is vegan, gluten-free, and totally splurge-worthy! I’m having a really hard time concentrating as I write this post. These pictures are reminding me of how much I want this cake. Like right now. 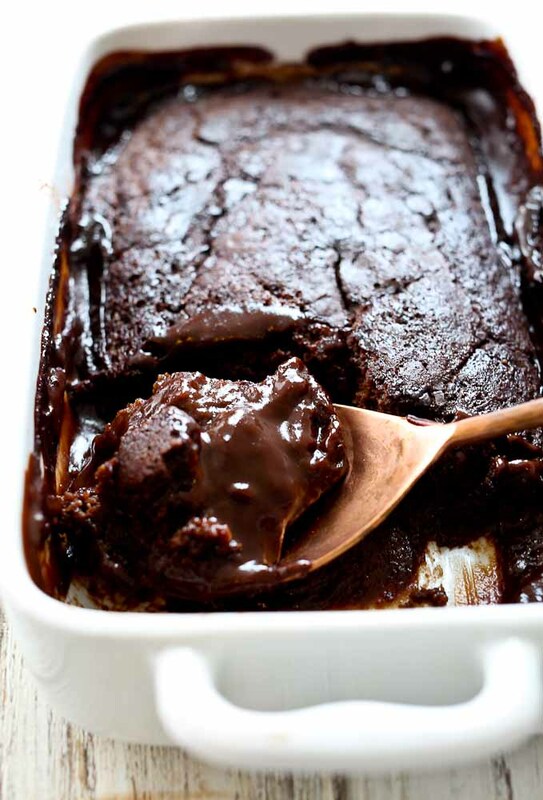 The moment I saw a picture of a Hot Fudge Pudding Cake, I knew I had to make one for myself. 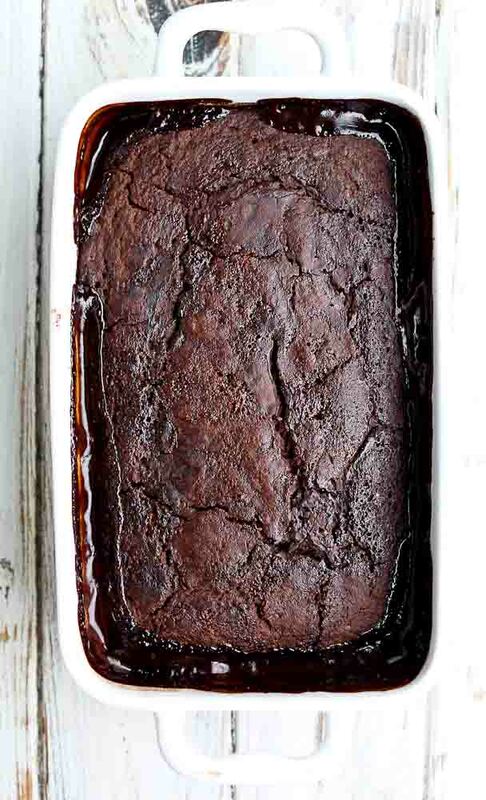 It’s gooey chocolate cake with hot fudge sauce built in. Pretty much the essence of all my favorite desserts in one pan. 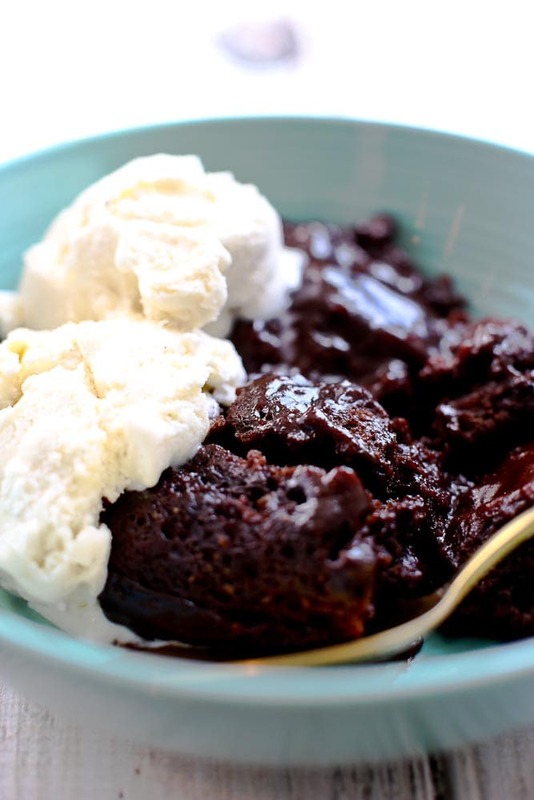 Did you even know that Hot Fudge Pudding Cake was a thing? It’s what my dessert dreams are made of. When I pulled it out of the oven and saw the chocolate fudge sauce bubbling up the sides, I knew I made a good choice in baking one. My original inspiration came from this recipe from Hersey’s. Of course, I did my best to make it as healthy as I could. First, I subbed the all-purpose flour for a gluten-free flour blend. Time and time again, most recently when we did a month of the Whole30 program, I’ve learned that my body is happier without gluten. I noted in the recipe that I think it would also work with whole wheat pastry flour if you’d like to go that route. I subbed coconut oil for the butter, and used a tad bit less. Instead of cow’s milk, I used unsweetened vanilla almond milk. I had to use a bit more, but it worked great. The original recipe called for 1 3/4 cups of refined sugar. I wanted to cut that back as much as I could without making this taste like it’s a “healthy dessert.” (Nothing wrong with those desserts, either, I just wanted this one to be less of an everyday treat and more of a special occasion dessert.) So I used Sucanat in for part of the refined sugar, which is an unprocessed sugar that retains more minerals than refined sugar. I cut back on it some, using 1/2 cup in the bottom layer of the cake instead of 3/4 cup. It was plenty sweet with that change. For the top layer, instead of 1/2 cup white sugar and 1/2 cup brown sugar, I used 1/2 cup Sucanat and 1/2 cup of a natural sweetener blend of Erythritol and Xylitol. I love this natural sweetener that is low calorie and is very low on the glycemic index. 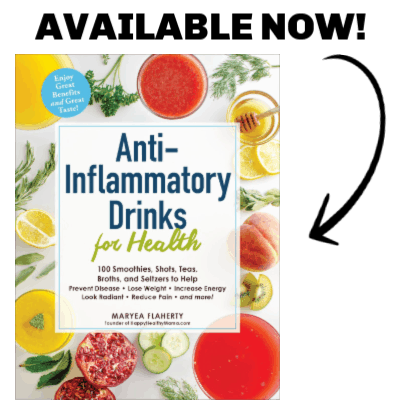 If you can’t find it in your grocery store in the natural section, it’s available on Amazon. Otherwise, just use a full cup of Sucanat for the top layer. While I’ve been doing well with keeping the sugar consumption at bay, this was a worthy February splurge. It would make an absolutely perfect Valentine’s Day dessert! Not only does it taste amazing, it’s also SO easy to make. Definitely one of the easiest cakes I’ve ever made. 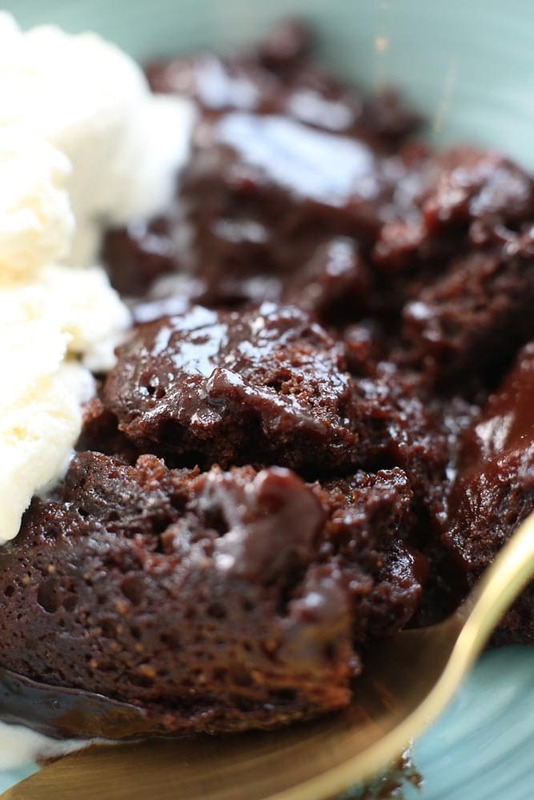 The end result is similar to a molten lava cake, yet the whole process is much easier. 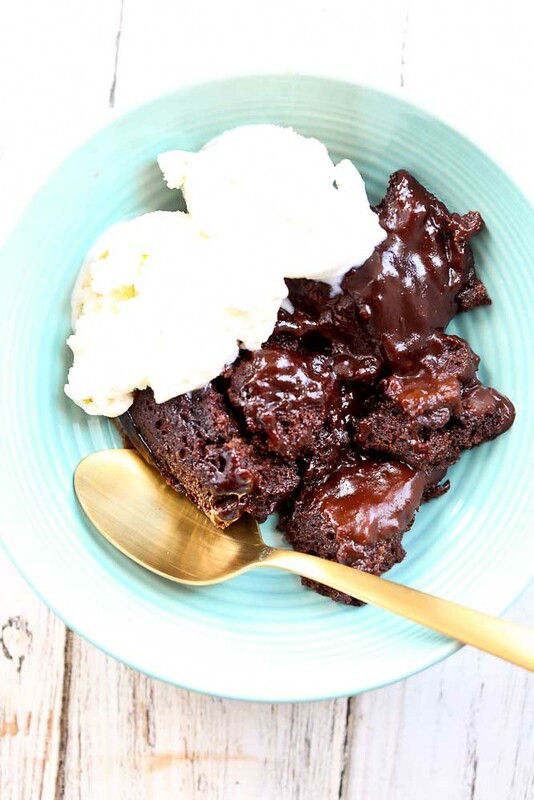 This Hot Fudge Pudding Cake is just begging you to serve it with some ice cream. My whole family loved this so much we ate it in one day. That’s six servings and we have four people in our family in case you didn’t know. You just can’t leave anything in the pan! Try it–I dare you. This is a rich and delicious chocolate dessert that is super easy to make and is vegan and gluten-free. No refined sugar. Whisk together the flour, 1/2 cup Sucanat, cocoa powder, salt, and baking powder. Add the oil, milk, and vanilla and mix until combined. In a separate bowl, whisk together the remaining 1/2 cup Sucanat, Erythiritol & Xylitol blend, and the remaining 3 tablespoons cocoa powder. Pour the mixture on top of the mixture in the pan evenly. Pour the boiling water on top. Do not mix. Bake in the preheated oven for about 35 minutes. The center should be almost set. Allow to cool for 15 minutes before serving. This is delicious with ice cream. Enjoy! What can be used instead of cane juice? I haven’t tried it, but I do think oat flour or a mix of oat flour and buckwheat flour would work. I don’t think almond flour would work well here. This reminds me of the cake my grandmother would bake for me. Of course, it was with regular flour and sugar, and oh so delicious! I will be using this recipe for my family, all except I will use sugar in mine! Thanks for posting your recipe as I have misplaced mine!! This looks like a GF version of Molly Katzen’s Chocolate Eclipse! (it’s in her “Stilllife with Menu”). That was one of our family’s favorite cakes so I’ve been looking for something like this every since I’ve been GF! Looking forward to trying it. Thanks!!! Could I use coconut sugar in place of the other? And cacao instead of cocoa?